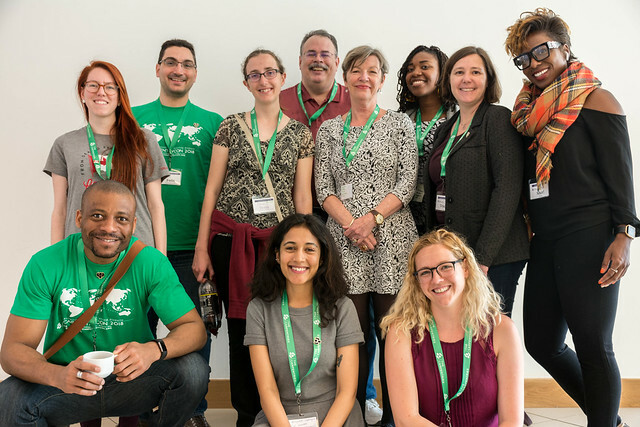 From 30 May to 1 June, 2018, the first ever in-person Carpentry conference, CarpentryCon 2018, took place under the theme “Building Locally, Connecting Globally”, with a vision to bring community members together under the same roof. 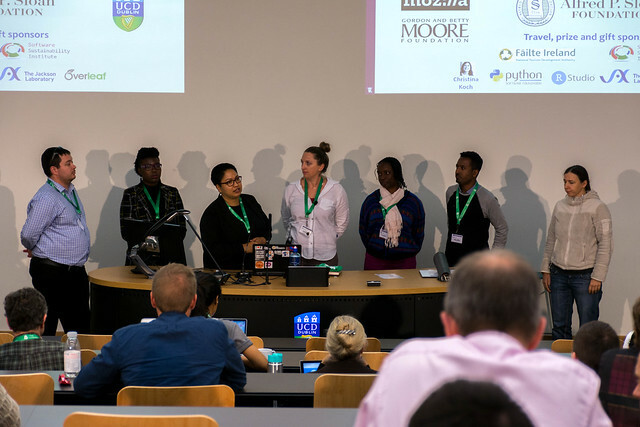 The conference was held at University College Dublin in Ireland and comprised keynote talks as well as many excellent unconference sessions suggested by the community members. The unconference sessions included 12 breakout discussions, six skill-up topics, six technical workshops and many impromptu birds-of-a-feather events (see the complete program here). Now that the post-CarpentryCon emotions have finally settled down, we (the CarpentryCon Taskforce) are happy to publish this short post-conference review. Attended by 125 community members from around the globe, this conference successfully managed to facilitate networking and knowledge exchange among participants from various professional backgrounds and diverse skill sets. Distribution of 125 attendees based on (a) their gender information, and (b) their current geographical location. We received 59 applications for travel support and were able to offer scholarships to 43 applicants. Although some awardees were not able to accept the offered grants, because of insufficient funding or lack of time to obtain a visa, we were able to provide travel scholarships to 32 people from 13 countries, including several countries from Africa and Latin America. Travel scholarship awardees made up 25 per cent of conference attendees and contributed enormously to the overall program. It is thanks to the generous support of our sponsors that we were able to bring these attendees to the conference and make the first-ever CarpentryCon a true representation of our global community. 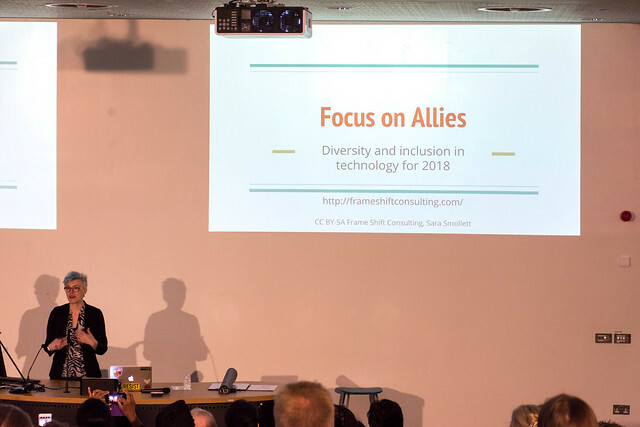 The conference started with a diversity and inclusion keynote by Valerie Aurora titled “Focus on Allies”. This was followed by an icebreaker event that made everyone feel welcome as a valuable part of the community. Further keynotes by Greg Wilson, Desmond Higgins and Anelda van der Walt with the South African Taskforce, and The State of The Carpentries address by The Carpentries Executive Director Tracy Teal were very well received by the participants (links to the presentations). Greg Wilson’s Keynote was the deepest moment of the conference. Anelda’s keynote [with the South African Taskforce] was a truly inspirational event - thank you! The stories and anecdotes by Des Higgins made me feel grateful to the developments in computer science and its sharing culture. The parallel breakout sessions were very popular among the participants (on average about 30 participants in each session), and worked as catalysts for discussions that continued long after the conference was over. Similarly, parallel skill-up sessions empowered everyone to leave the event with (at least) one new skill under their belt. The last day was initially planned as an optional day for conducting workshops, but was attended by almost everyone. These workshops focused on diverse topics such as the Ally Workshop, HPC Carpentry, Next Steps in R and Library Carpentry Onboarding. In addition, the poster session, lightning talks, and social activities allowed people to learn about each other’s work, identify common interests, and facilitate useful collaborations. With these highlights, we are proud to say the inaugural CarpentryCon was a fantastic event and a great success. In line with Tracy’s statement, we would like to thank the organisers, participants, speakers, local hosts and event managers, volunteers, staff members, caterers, photographers, and every single person who contributed to the success of this first CarpentryCon. 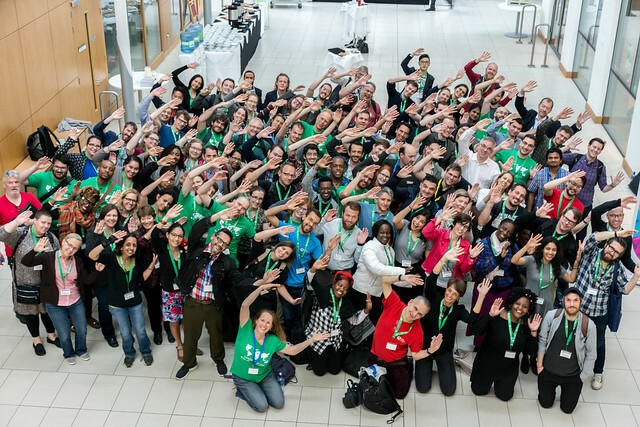 We would also like to thank our CarpentryCon sponsors, University College Dublin, the Alfred P. Sloan Foundation, Mozilla, Gordon and Betty Moore Foundation, Software Sustainability Institute, Python Software Foundation, Failte Ireland, Christina Koch, Overleaf, RStudio and The Jackson Laboratory. Most of the images in this post were taken by Bérénice Batut who was our volunteer photographer (see Bérénice’s other pictures here). Couldn’t attend the CarpentryCon 2018? Tracy, Malvika and Fotis had a chance to record an Open Science Radio podcast about CarpentryCon 2018 with Konrad Förstner and Matthias Fromm that you can hear here. In the past months, our community members have shared their CarpentryCon experiences and session summaries in several blogposts (see here), for which we are very thankful. We encourage more people to share their experiences, opinions, feedback and interest in joining us in organising future CarpentryCon events. Additionally, you can check out all the relevant documents on our GitHub repository. It is evident from the success of the first Carpentry conference that we need to continue this tradition - and the first step is to start planning CarpentryCon 2020. We estimate that 18 months is a good lead time to get planning underway. The current Task Force members will continue serving and would like to invite “YOU” to join us in planning our future conference. We have a fantastic debriefing document that covers all the areas of planning of the last CarpentryCon, such as budget, sponsors, venue, catering, technical aspects, accessibility (you name it! ), which will work as a template for the next event. If you have any exciting ideas, and you share our enthusiasm and interest in making the next conference happen, you will be a great addition to our Task Force. Alternatively, you are invited to plan a local conference under the name CarpentryConnect (see the recent CarpentryConnect events at UC Davis and in Johannesberg). To learn more about the conference, join us for the next CarpentryCon Planning Task Force call scheduled for 25 September at 20:00 UTC - see time and date in your zone. Find our etherpad. You can also reach out to us by emailing carpentrycon@carpentries.org.